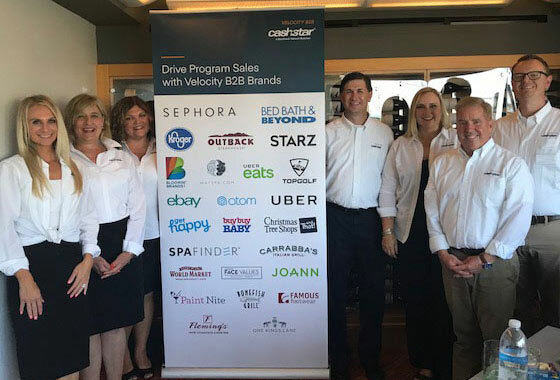 At nearly two-years old, CashStar’s Velocity B2B team has quickly established itself as a leading business solution that helps merchants manage and grow their business-to-business gift card programs. Now, with the added support and reach of The Blackhawk Network, Velocity B2B is even more well positioned to deliver much needed assistance to gift card teams—large and small. We sat down with Tom Boucher, head of Velocity B2B, to discuss how he and his team are helping retailers grow B2B programs in this increasingly competitive marketplace. Can you give us a little bit of history on Velocity B2B? About three years ago the leadership of CashStar were getting feedback from current CashStar clients along the lines of: “Hey, you already have this great tool called CashStar Business. The one thing that you don’t have—and that we need—is somebody to help run the business. We don’t have the bandwidth or headcount to do it ourselves, so could you create a team that could sell for us and manage the day to day operations?” B2B requires a lot of support and a lot of steps to acquire new business, so our clients were asking us to come up with a solution. At the time, we didn’t know what it was going to be, but that was an exciting challenge. Fast forward to two years ago, when CashStar leadership asked me to come on board. They said “We want you to help build a new B2B sales organization to help customers get out in the marketplace. The organization will sell on their behalf, represent them in front of the brands, and then utilize the CashStar Business tool to secure and protect all those transactions.” Hence, Velocity B2B—it’s an output of all that feedback from our clients and a lot of research that we did in the marketplace for what was needed. What was lacking was an end-to-end solution—a team that does your marketing and your sales, a great tool that helps you manage all the clients and secure all those transactions, and also the guidance to help ensure that your program is compliant. What makes Velocity B2B so unique and different from others offering similar services? It’s really about providing true end-to-end service. Currently, there’s no comparison in the marketplace. We offer you a sales team, a great platform, and our breadth of knowledge and experience. Many competitors may have one of those three prongs or even two. The difference is that they don’t truly provide the end-to-end solution. Another big differentiator is the indemnity and security we offer—many of our competitors can’t offer that. It’s also important to note that we use an incentive-based model with our clients, so that we’re only successful when their programs grow. It’s another competitive differentiator because a lot of other operators just don’t provide that sort of incentivized partnership. Velocity has been around since November of 2016. In the 19 months or so since its inception, how would you gauge the demand for end-to-end agency-type offerings? In the last 19 months, we went from having one brand to managing 17 clients that represent 25 brands. I think that growth speaks for itself in terms of demand in the market as well as how successful we’ve been at helping clients to augment and effectively run their B2B gift card programs. How have you grown the Velocity B2B team to meet demand? As the business grows, our commitment is to ensure that we have the proper staffing to meet the needs of our clients. We went from four people to 12 people in that 19-month period. What we look for when we hire our talent is someone who has a sales background in B2B gift cards or who has run a B2B program. Half of our staff has between 10 and 15 years experience in B2B gift cards/sales. Others have great operational background. We have 100+ years of gift card and B2B experience on our team. When you consider that we only have 12 people and you’re averaging 10 years of experience per person—with some people that have 15-20+ years of experience alone—we think that’s impressive. In addition, clients benefit from Velocity B2B’s access to CashStar systems and teams. Clients get a great sales and operations team that can leverage the resources of a well established tech company—like CashStar’s IT and security, its financial settlement team, as well as its product and engineering teams. Where do you see Velocity B2B in five years? 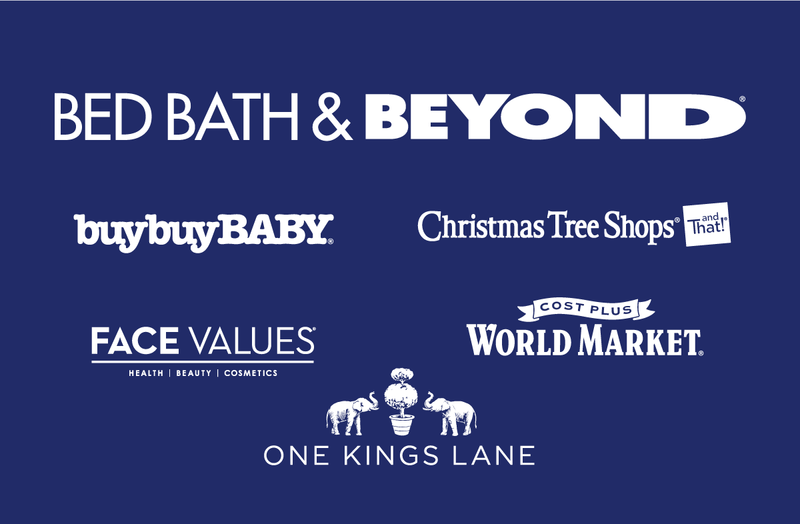 To look that far out, I would hope that Velocity B2B will become a very common name in the gift card space because we are adding tremendous value to our clients’ businesses and are known for helping them reach their goals. At the same time, we want to be known as the easiest and most efficient platform for businesses buying from our Velocity B2B clients. In terms of services, we’re going to continue to evolve our systems and processes based on what’s happening with our clients. When there’s a need, we’re going to evolve because we work to serve our clients. Can you describe the different ways clients leverage Velocity B2B? We offer an end-to-end service so we have a little pinwheel consisting of sales, marketing, program operations, payments operations and security in the middle. Today, almost all of our clients use a piece of every one of those services, but one client may leverage one of those facets a little more than the others. For example, one client may lean on our inbound sales services only, rather than both inbound and outbound sales. We’re very flexible and can balance the in-house capabilities our clients have with the specialized assistance they are going to need. You have been in the gift card business for several years. What do you think will be the next innovation in service or technology to propel the B2B market? I think the biggest thing is probably cold stock activation, which is also referred to as on-demand activation. What that allows people to do is activate cards when they need them (vs buying them in bulk and having to own that inventory). This is important because the B2B buyers to which we sell don’t have to carry hundreds of millions of dollars of inventory on hand—instead they only have to activate and pay for that stock when they use it. This allows buyers to be much more profitable because they’re not investing all their dollars in inventory. I also think that agency business models are going to become bigger. Staffing in the industry is getting so much tighter, so it makes sense that merchants are reaching out to agencies to help them run their business. It’s also easier for someone to secure budget to work with a partner than it is to hire and pay employees. What is some advice that gift card program managers should heed if they want to grow their program? If you really want to be successful in B2B you have to invest time, money and effort to grow your program. When we say that merchants should aim to grow their B2B gift card business to 20% of their overall gift card business, that number is a guideline. If you don’t have the staff, you’re not going to be able to optimize sales and achieve that position. You have to be actively marketing and selling your cards at all times and implementing streamlined processes. B2B is complex, and without the proper resources, most programs will not reach that 20% goal. People also ask whether or not fighting for 20% is worth it. It’s important to recognize that the 20% number represents incremental revenue available to those merchants that go out and pursue it—and actively invest the resources to get it. Overall, 20% is a benchmark, but many who actively invest can do much better. To be effective, retailers have to reconstruct themselves to cater to consumer preferences; B2B gift card programs are another way to do that. The end-customer in the B2B space is your customer. The people that are being incentivized with gift cards bought through your program are your consumers. If they can’t find your card, they’re going to buy a competitor’s cards. If I’m usually a SEPHORA customer and I’m redeeming my Amex points but don’t see SEPHORA as an option, I’m going to select a competing brand. If you’re not represented, that dollar is going to go somewhere else in the marketplace. If you’re a retailer that opts out of investing in your B2B program, that’s an open invitation to your competitors to eat up that business.